The Navajo Zoo has one Canada Goose that is named Mother Goose. She arrived at the Zoo in 2009 with a wing injury preventing her from being released into the wild. This Goose. She now shares the Waterfall Exhibit in the Discovery Center with the Franklin's Gull and numerous turtles. The Navajo Zoo acquired two male Gambel's Quail in the fall of 2012, which were raised from juveniles and placed on exhibit along with the chukars, turkeys, and sandhill crane in the mixed-avian exhibit. Gambel's Quail are the first and third from the left in the photo below. The Navajo Zoo has four Golden Eagles on permanent exhibit, with the newest one being added on August 10, 2011. Three of our eagles are males named Altair, Dan and Senor Atsa'; the other is a female named Shellie. Each of our eagles had one wing amputated because of serious wing injuries and are therefore unreleasable into the wild. Altair is partially-flighted since he only has the outer portion of one wing removed. The Navajo Zoo has three Great-horned Owls on exhibit. One owl, named J.W. Hooter, came to the Zoo a number of years ago with serious eye and wing injuries, making it impossible to return to the wild. The second owl was a new acquisition in July 2012 after he suffered a serious wing injury and could not be returned to the wild. This young owl has not been named under our adopt-an-animal program. The third Owl came with a wing injury from the Navajo Nation in 2015. The Navajo Zoo has five Red-tailed Hawks on exhibit; three of them are males and two are females. Each of them were found on the Navajo Nation within the last six years with serious injuries preventing release back into the wild. These hawks are named Big Red, Hunter, Gloria, Spirit and Warrior. The Navajo Zoo has one Sandhill Crane named Carrie on exhibit. This Crane came to the Zoo in 1990 after it was found with a permanent wing injury. The Navajo Zoo acquired one male and one female Scaled Quail in the fall of 2012, which were raised from juveniles. These quail live among the chukars, turkeys, and sandhill crane in the mixed-avian exhibit. Scaled quail are second and fourth from the left in the photo below. 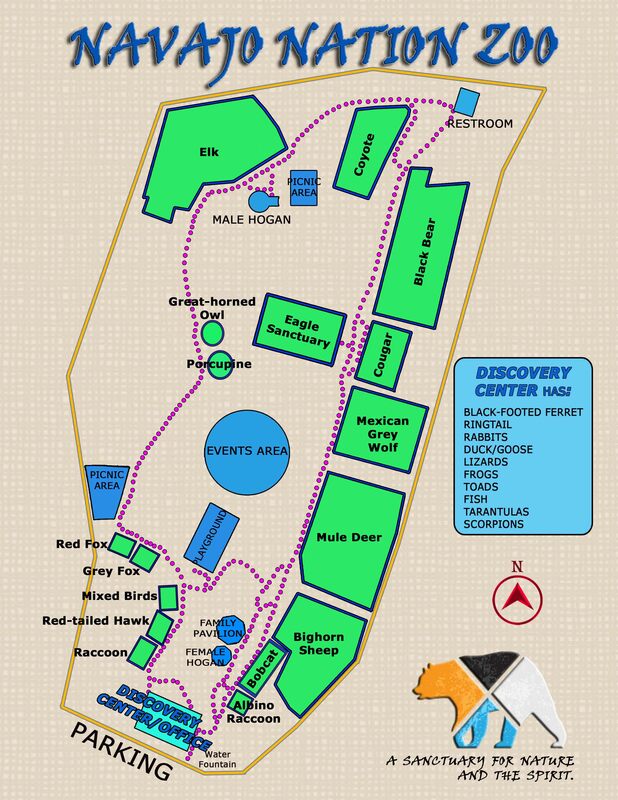 The Navajo Zoo has one Swainson's Hawk that shares an enclosures with the five Red-tailed Hawks. This hawk came to the Navajo Zoo in May 2011 from the farm fields near Farmington, NM. This bird arrived with a permanent wing injury preventing it from being released into the wild. He is named Marty under the Zoo's Adopt-an-Animal Program. The Navajo Zoo has two Wild Turkeys that were raised from chicks here at the Navajo Zoo in the summer of 2012. One turkey is a female and the other a male. Both turkeys share the mixed-avian exhibit with the sandhill crane, chukars, and quail.